Through the Gallatin City-County Health Department, Environmental Health Services (EHS), permits, licenses and/or inspections may be required for your business or the activity in which you are participating. 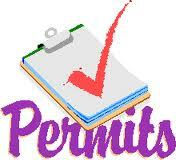 These permits, licenses or approvals may be the jurisdication of the Health Department or another agency. Inspections are done to assure the safety of the public and the prevention of unsanitary and unhealthy conditions and practices. Did you know? Cottage Food is reviewed by the Health Department to ensure products are non-potentially hazardous.